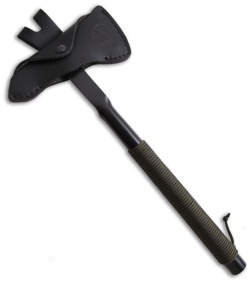 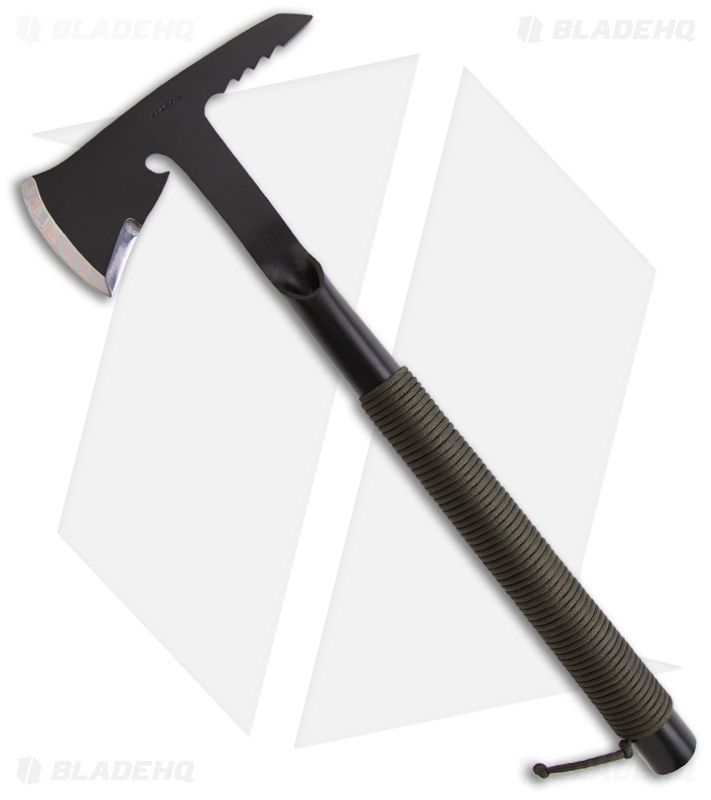 The Condor Knife & Tool TRT (Tactical Rescue Tomahawk) Axe has a 7" head. It is made from 1075 high carbon steel and finished with a black epoxy powder coat. The steel handle is a strong hollow tube with an OD green cord wrap for grip. This axe comes with a protective leather sheath.